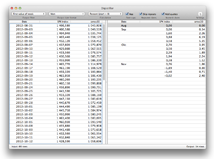 Digistiller for MacOSX is a utility for magazine and newspaper designers who do graphing in Adobe Illustrator. A common problem is being provided with graph data with daily data points. This makes for ugly and hard-to-read graphs, and quickly bogs down Illustrator. Digistiller extracts weekly, monthly and yearly values from such data with a quick cut-paste operation. 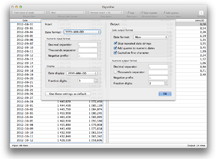 Digistiller can also perform simple percent, indexing and index-to-column calculations. Simple: Copy your spreadsheet data. Switch to Digistiller and paste. Then copy the converted data and paste into Adobe Illustrator. One-click indexing: What was that Excel formula again? Never mind. Works with multiple date formats: A number of common international date formats come pre-installed. If your data uses some other format, you can edit the Preferences file (if hackishly inclined). Or adjust your spreadsheet date cell display settings. Or contact me and I'll update Digistiller. System requirements: Tested on MacOSX 10.8 Intel. Should work on many earlier versions. 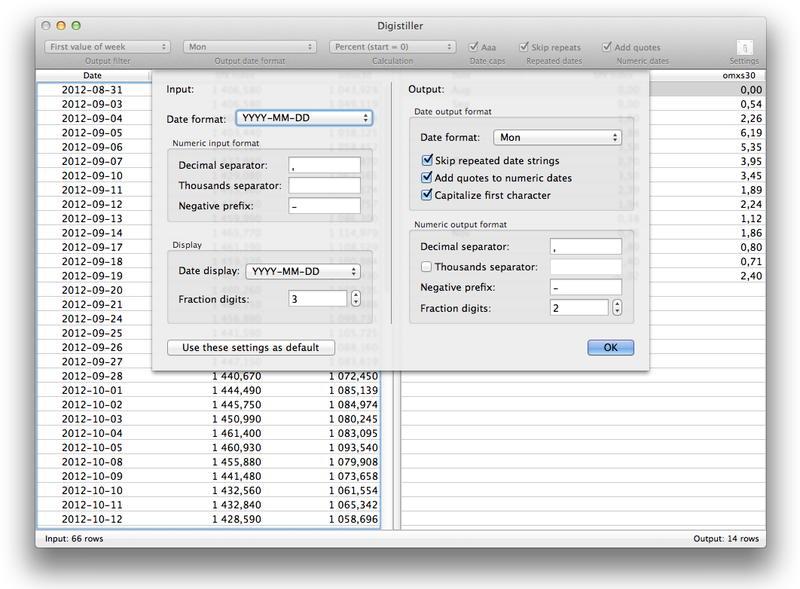 New in Digistiller 1.1: This version adds more extensive input and output customizability and calculation options. Copyright (c) 2013 Joakim Braun E-mail Download Digistiller 1.1 • User manual (PDF).